Office-based psychotherapy practice is a challenging and vexing task for psychiatrists. Psychotherapy has not yet found a firm footing as an accepted form of therapy by many patients. Psychiatrists offering psychotherapy as a treatment face many challenges that may be social, psychological, and ethical. The present review paper posits an overview of the various challenges that besiege office-based psychotherapy in private psychiatric practice. Issues right from the initiation and basic premise of describing psychotherapy and issues concerning its mechanism of action and efficacy along with individualization of therapy are discussed. The challenges of online psychotherapy and dealing with clients that refuse medical help along with the perils of eclectic psychotherapy are highlighted. Handling adolescents which poses many challenges is also discussed along with an emphasis on the sound termination of psychotherapy. The paper aims to sensitize the readers to the various challenges that office-based psychotherapy poses while providing an overview on the subject. Each of the challenges in this paper is subtopics in themselves and may warrant separate review papers in their own right. India is currently home to 104 million elder, which comprise about 8.6% of the population of the country. This is only projected to increase to 20% by the year 2050. Among all elder in India, one in ten resides in Maharashtra. In addition, majority of the oldest old (above 80 years) reside in the state of Maharashtra. All these make it very important for the Government of Maharashtra to have a plan for elder care, besides the existing national policies. 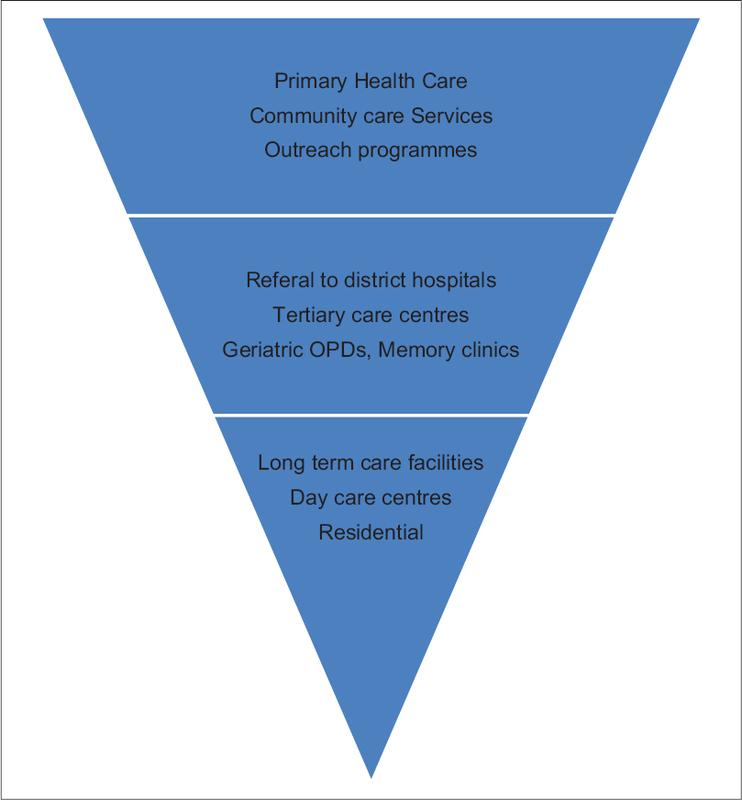 Ideal geriatric care services should be accessible, goal oriented, comprehensive, and accountable. Further, they should be integrated in the community for basic needs and also deliver specialty care. Maharashtra lacks in training, infrastructure, awareness of present schemes and policies, and implementation and execution of the National Programme for Health Care for the Elderly. Considering that we house the largest number of elder individuals in the country, it is time the state government took measures to implement urgent changes for elder care. Background: Suicide is the act of intentionally causing one's own death. Global, estimation of suicide and suicidal behavior is leading cause of death and burden of diseases which is also the third leading cause of death in prison. It is a common mental health problem, and the magnitude is high especially in countries where mental health service is poor. Suicide ideation is the leading cause to commit suicide. However, there is lack of study regarding suicide in prison in African countries including Ethiopia. Objectives: The aim of this study was to assess the prevalence of suicidal ideation and associated factors among prisoners in Addis-Ababa correctional center Addis Ababa, Ethiopia, 2015. Methods: An institution-based cross-sectional study was conducted from April to June 2015. Systematic random sampling technique was used to get a total of 423 samples of prisoners. After obtaining ethical clearance from the University of Gondar and Amanuel Mental Specialized Hospital and verbal consent from the respondents, data were collected. The collected data were coded, entered, and cleaned by Epi Info version 7 and exported to SPSS version 20 for analysis. The strength of association was presented by odds ratio with 95% confidence interval (CI). The independent variables that fulfill P < 0.2 in the bivariate logistic regression analysis were entered to multivariable logistic regression analysis by enter method. Variables with P < 0.05 in multivariable logistic regression analysis were considered as have statistically significant association with dependent variables. Result: A total of 423 prisoners participated with 100% response rate. 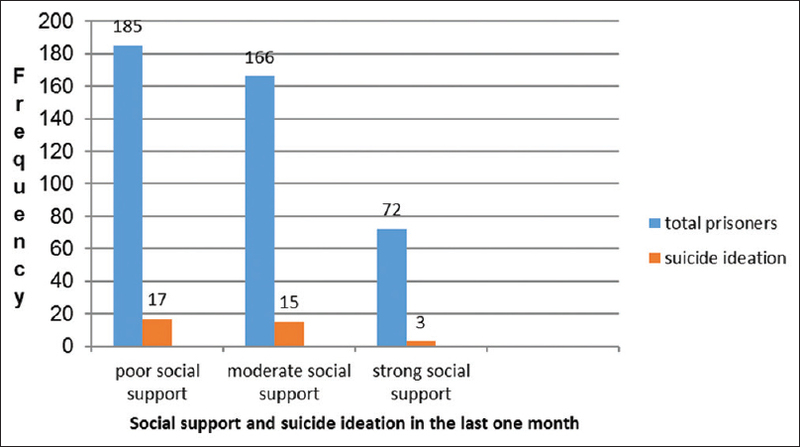 The magnitude of suicidal ideation in the last 1 month was 35 (8.04%); 95% CI (5.6–11.1). Being male (AOR = 2.962, 95% CI [1.307, 6.712]), perceived stigma (AOR = 2.666, 95% CI [1.161, 6.122]), and family history of suicide (AOR = 2.291, 95% CI [1.736, 7.129]) was associated with suicide ideation. Conclusions and Recommendations: The magnitude of suicide ideation in prisoners was higher than the general population. Hence, special attention pertaining to suicide prevention; should be given for prisoners. Background: Metacognition is essential to successful learning, especially in the field of medicine because it enables individuals to better manage their cognitive skills and determine weaknesses that can be corrected by constructing new cognitive skills. This study was undertaken to study the difference in the metacognitive abilities toward learning in the clinical and nonclinical disciplines of medicine. Methods: Four hundred and sixty-eight residents were contacted, 442 consented, 373 completely filled pro formas were received, and two groups, namely, clinical (n = 275) and nonclinical (n = 128) were formed. Data were collected with the help of a semi-structured questionnaire and the metacognitive assessment inventory. It has two broad domains-knowledge about cognition and regulation of cognition with each having 3 and 5 subdomains, respectively. Results: The two broad domains of MAI revealed a highly significant difference with the students of nonclinical disciplines having higher knowledge about cognition (t = 1.46, P < 0.014) and regulation of cognition (t = 3.13, P < 0.0019) as compared to their clinical peers. All subdomains of knowledge about cognition showed highly significant differences. Planning and evaluation subdomains of regulation of cognition were significant in the nonclinical group. The other subdomains of information management, debugging strategies, and comprehension monitoring were not significant. Discussion: The nonclinical disciplines showed better ability for factual knowledge, use of critical thinking, knowledge about how to implement and when, and why to use learning procedures as compared to their clinical counterparts. Planning, goal setting, with an analysis of performance was also much better in the students of nonclinical disciplines. Conclusion: This study highlights the need to inculcate in medical postgraduates self-learning using their metacognitive abilities so that learning would become more focused and improvement in skills would take place. Background: Postpartum depression (PPD) is a depressive disorder, also known as postnatal depression. Despite responsiveness to treatment and serious consequences if untreated, PPD often remains unrecognized. This study aims to study the prevalence of PPD and to correlate risk factors associated with it. Materials and Methods: It was a cross-sectional study in Departments of OBGY, Pediatrics, and Psychiatry in a tertiary care hospital. Two hundred and fifty consecutive women, 1–6 weeks postpartum attending the above departments, were included after written informed consent. A specially designed semi-structured pro forma was used for correlation of various risk factors. Edinburgh Postnatal Depression Scale was used for diagnosing PPD. Results: In our study, we found that 20.4% of the women evaluated suffered from PPD. Significant risk factors for PPD included age below 30 years, financial dependence, positive family history of psychiatric illness and PPD, previous girl child, unwanted pregnancy, pressure to have a male child, and complications during pregnancy and delivery. Domestic violence, substance abuse in husband, and relationship issues also increased the risk. Conclusion: Considerable prevalence of PPD is found across various cultures. Prevention of risk factors is useful in primary prevention of PPD. In the future, our study can be used for screening females with high risk for developing PPD so that more intense interventions can be applied. Context: The number of elderly patients is expected to rise. However, the efforts required to integrate this aging population into our health-care system seem to be lacking. An improvement definitely has to be aimed for because the subject of geriatric medicine will personally concern each one of us in the future. Aims: This study aims to assess and compare knowledge, attitude, and perception toward elderly and aging in medical interns and postgraduate residents and compare attitudes toward aging among the different postgraduate branches. Settings and Design: This study was conducted at a tertiary care teaching municipal hospital and medical college. This was a cross-sectional study utilizing self-constructed structured questionnaires. Materials and Methods: Questionnaires on knowledge, attitude, and perception, constructed by the lead researcher and reviewed by an expert panel, were administered to the two groups. The responses were collected and analyzed. Statistical Analysis Used: Chi-square test and means of percentages were used. Results: Both groups showed a positive perception to the needs of the elderly. The interns showed a more negative attitude toward aging compared to the postgraduate students, with the differences being significant (P < 0.05) between the two groups in 16 out of 45 questions. 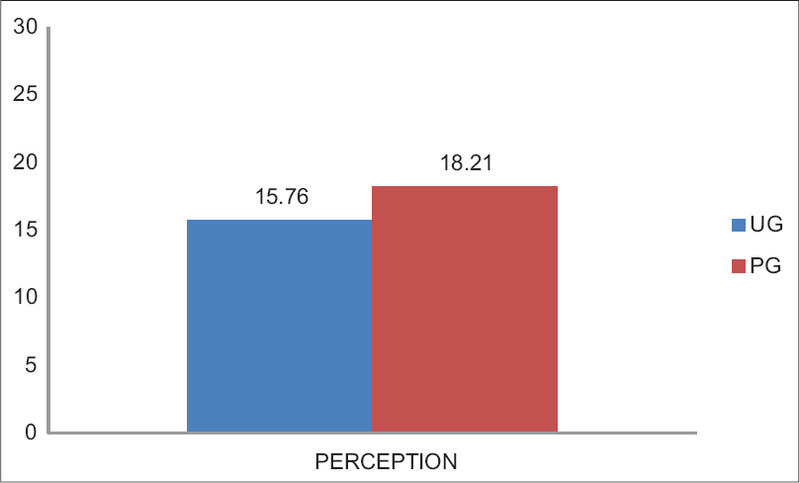 On the knowledge questionnaire, a significant (P = 0.014) difference was seen between the teaching in interns and postgraduates. The analysis also revealed that general medicine and psychiatry had the best scores on the attitude questionnaire. Conclusions: Although the perception of elder-friendly city is same in both groups, interns have a more negative attitude toward aging which could stem from the inadequate knowledge being imparted during the undergraduate medical curriculum. Hence, there is a need to introduce geriatric medicine at an undergraduate level. The Department of Psychiatry at Seth GS Medical College and KEM Hospital, Mumbai has been treating substance use disorders (SUDs) at its De-addiction Center of Excellence (DAC) for more than 25 years. This DAC was established with the support of Drug De-addiction Program (DDAP) of the Ministry of Health and Family Welfare (MOH & FW). This is an overview of the services provided by the KEM DAC, with the information about the Drug Treatment Clinics (DTC) scheme of the central ministry that is implemented for the past 4 years. This provides information about the outdoor, indoor, and community services of KEM DAC along with the facilities available for the SUD patients and their relatives. The main focus of the article is the DTC scheme, its initiation, process, and the implementation. The scheme is implemented since 2014 with the support of DDAP, MOH and FW, with National Drug Dependence Treatment Center, All India Institute of Medical Sciences (AIIMS), New Delhi as the national coordinating Center and KEM DAC as the Regional Resource and Coordination Centre (RRCC) in the Western region. Besides its own DTC, KEM RRCC has established five more DTCs in the region. These are established after seeking permissions from the competent authorities and after the feasibility assessment. Thousands of patients have been taking the benefit of these DTC services and can remain drug-free. The scheme had also reduced crime and helped their families and the society at large. Indian subcontinent, diverse though in many respects, has a common systematized cultural mechanism to cope with loss. What is unique about Hindus is their belief in reincarnation and the concept of karma. Writing Living Will (LW) or the Advanced Directive, I thought, was a brilliant idea to guide families to deal with the end-of-life situation of their loved ones. I enthusiastically advised my elderly colleagues in various forums to write the LW, lest had I predicted any negative fallout of this deed. I describe below the heated debates due to LW within the bereaved families. In both cases, the families argued that the reincarnation and transmigration of the soul cycle would be interrupted by not cremating the dead. Some instructions left in the LW were at variance with the traditional practices that created potentially explosive situations in the cases I describe below. Most contentious directive was no cremation and postdeath rites and rituals that created conflict of ideology and moral dilemma for the children. The author wants to share the latter with readers and stimulate discussion. Mourning and traditional grieving is encouraged in many cultures; can this not tantamount to systematic grief therapy? In many cultures, grief, and bereavement, through ages, have inspired renowned poets and scientists to express their viewpoints. There is limited literature on the atypical or the unusual manifestations of obsessive-compulsive disorder. In this case series, three cases are presented, with special emphasis on the atypicality of their clinical presentation. 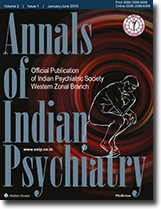 Each case is unique and attempts to give a different perspective on the dilemmas faced by the treating psychiatrist. Many times, such cases are mistakenly diagnosed with psychosis, and they get wrongly treated for months to years, leading to immense suffering, and chronicity of the illness. Often, such cases may go to different other specialties and end up with mismanagement, with no alleviation of the patient's complaints. With increased awareness, the clinician will be better armed to persist along different lines of inquiry, and get adequate information, to reach the accurate diagnosis. This case series aims to give some such examples of not-so-common symptoms which may prove useful in our regular practice. Childhood-onset schizophrenia is characterized by onset before the age of 13 years. These symptoms overlap with other disorders of childhood onset (e.g., autism spectrum disorder and attention-deficit hyperactivity disorder) and hence can present as a diagnostic challenge. A 7-year-old boy presented with hyperactive behavior, inattention, and repetitive stereotypic hand movements, muttering and gesticulating to self for the 1½-year duration that developed after an episode of high-grade fever which was not associated with any focal neurological deficit. He was treated with antipsychotics, mood stabilizers, and stimulants on an outpatient basis and subsequently admitted for diagnostic evaluation due to persistent symptoms. We would like to discuss this case due to its complexity and the challenge we faced while treating this child. It is important to evaluate the cause of psychosis in a child as many disorders of childhood onset can present with psychotic symptoms. Unplanned pregnancies in women with psychiatric illness are common and result in exposure of the fetus to multiple psychotropics during the first trimester. Literature reveals that olanzapine may rarely cause major malformations and selective serotonin reuptake inhibitors may be associated with primary pulmonary neonatal hypertension. We present a rare case of 39-year-old (middle-aged) female Gravida 4 para 2 abortion 1 live 2, with bipolar affective disorder with gestational diabetes mellitus (GDM) and pregnancy-induced hypertension (PIH) presenting in the third trimester of her pregnancy. The patient continued 5 mg olanzapine and 150 mg sertraline throughout pregnancy unsupervised. Ultrasonographic findings revealed multiple congenital anomalies in the fetus, and emergency cesarean was conducted in the 32nd week of pregnancy, which was followed by neonatal complications including bradycardia, gasping, absent birth cry and reflexes, and weak gross motor activity and early neonatal death. The anomalies observed in the fetus are similar to the anomalies that have been observed and discussed with psychotropics in the past. Thus, we report this case to understand in naturalistic setting – the complications and risks associated with psychotropic medications in pregnancy along with other physical morbidities including GDM and PIH in the female suffering from bipolar disorder. Childhood disintegrative disorder (CDD), a rare clinical syndrome with a prevalence of 1 in 100,000 children, was first described by an educator, Theodore Heller in 1908. He originally termed the condition dementia infantilis; subsequently, it has also been termed disintegrative psychosis or Heller's syndrome. CDD is characterized by marked regression in multiple areas of functioning following a period of at least 2 years of apparently normal development. We are presenting a case of an 8-year-old girl who presented with normal development until 6 years of age followed by gradual developmental deterioration in previously acquired language, social skills, and intellectual functions suggestive of CDD. Since time immemorial, alcohol has been used as a “pleasure drink” by humankind. These occasional drinks, slowly over time, do result in addiction due to their rewarding and reinforcing nature. As psychiatrists, we have an important role in alcohol de-addiction, which includes not only implementing pharmacotherapy but also delivering various nonpharmacological interventions as well to prevent relapses. Varying degrees of success have been obtained, however, devising an approach which would work for all individuals of alcohol dependence has been challenging. Motivational enhancement therapy (MET) is one such attempt which employs common principles to address individual patient needs. This article gives an overview of MET; its principles and structure, besides, throwing light on various challenges practically experienced by postgraduates while delivering MET.